Moles Of a Different Color: Where do Cherry-Red Moles Come From? Have you suddenly discovered a red mole on your skin? Don’t be alarmed. Red moles are actually angiomas; abnormal growths, almost always benign, that are produced when blood vessels are dilated or being formed. What most people refer to as red moles are actually cherry angiomas, which are characteristically cherry-red to purple in color. Red moles are rarely seen on the hands and feet, and the majority of them develop around the torso area. Red moles can develop alone, or in groups. They are usually about the size of a pinhead, and are flat against the skin, however some red moles grow much larger, up to ¼ of an inch, can protrude over the skin, and become spongy in texture. Although the causes of many types of angiomas are not known, cherry angiomas are the most common vascular skin lesion, and affect both men and women. The appearance of cherry angiomas is linked to several factors. Cherry angiomas are common in all races, and ethnic backgrounds. According to recent studies, more than 70% of individuals, over the age of 70, have cherry angiomas. Red moles are most commonly seen in people over the age of 30, and as you age, they typically increase in number, and size. The proliferation of cherry angiomas has been found to often run in families. Without knowing the actual cause, genetic factors appear to have an influence in the likelihood of red mole development. 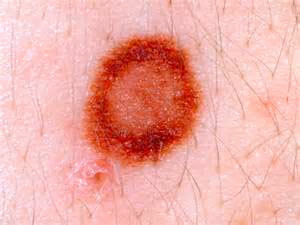 People who have chronic sun exposure develop red moles more frequently than those who do not. Although the exact cause of cherry angiomas is not known, sunshine can be a trigger for their development. Red mole formations have been linked to estrogen dominance; a condition that occurs when an individual has a deficient, normal, or overabundant amount of estrogen, but does not have enough progesterone to balance out its effects. Both women and men suffer from estrogen dominance symptoms, including the development of cherry angiomas, as the hormone exists naturally in both sexes. Many researchers are convinced that high stress levels trigger the development of cherry angiomas. Reports of red mole outbreaks have reportedly occurred after traumatic events, such as suffering from heart palpitations. The appearance of spider angiomas may be an indication of a liver disorder, particularly if there are several in number. Spider angiomas are like cherry angiomas, but tiny blood vessels radiate out from the pinhead-sized red spot. 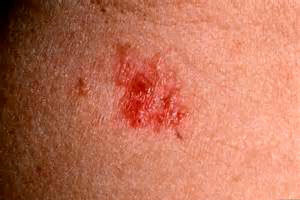 Spider angiomas can be an early symptom of cirrhosis, often associated with alcoholism. Diagnosing cherry angiomas is usually a simple process of observation. They look very similar to other moles, but have a bright red color. Typically, red moles are small, and either circular or oval in shape. In the vast majority of cases, red moles are completely harmless, with no corresponding relationship with cancer. Like many other people, you may decide to have red moles removed for cosmetic reasons. There are also some practical reasons to have cherry angiomas removed because they will bleed if scratched, or rubbed harshly. Areas of the body, such as the legs or face, that are often shaved are particularly problematic red mole locations. 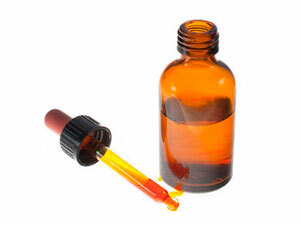 Home remedies and medical treatments offer a variety of options to remove the bright red spots. Following are three home remedies that have successfully removed red moles. The procedures are simple, inexpensive, and can be managed privately at home. Garlic is an effective red mole remover. A thin slice of fresh garlic is placed directly on the mole, and secured to the skin with tape. 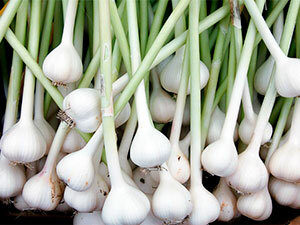 Replace the fresh garlic twice a day, in the morning and before retiring at night. Mole removal using the garlic method usually takes two weeks. Read more here. 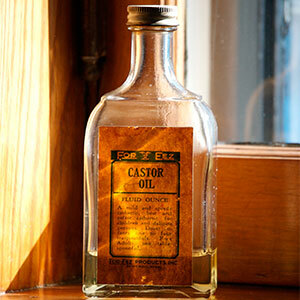 The castor oil method uses a cotton ball soaked with castor oil. The ball is secured to the skin with surgical tape. Repeat the process every day for a week. For more information click here. The red cider vinegar method uses the same procedure as the castor oil treatment. 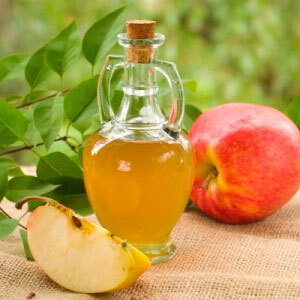 If using the vinegar method, continue the process for three weeks. Further details can be found here. Iodine has been used for years to remove moles. It is recommended that you only use a solution of 5% concentration. Saturate a cotton ball with the iodine, place it directly on the mole, cover it with gauze and secure it to the area. The iodine solution should be replaced at least two times a day, and three is better. The treatment usually requires two weeks for the mole to disappear. There are four widely used medical treatments for removing red moles. These surgical remedies for red mole removal rarely leave scars. In this procedure, the red mole is burned off using a tiny probe that delivers an electrical current. A grounding pad is also placed on the body to protect it from the electrical charge. Please see detailed descriptions here. The cryosurgery procedure involves freezing the cherry angiama using liquid nitrogen. The red mole is destroyed by the intense cold. Cryosurgery is the fastest, and easiest procedure for red mole removal. Only one treatment is required, and the actual freezing takes about 10 seconds. Very little after care is required, and the risk of infection is minimal. Click here for more information about cryotherapy mole removal. 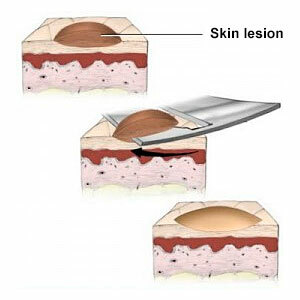 Laser surgery uses a pulsed dye laser (PLD) that emits enough heat to kill the red mole. The treatment is relatively quick and usually performed on an outpatient basis. Complete mole removal may take two to three treatments, and in some cases bruising may occur. Read more about laser mole removal here. Shave excision is a surgical procedure that involves slicing thin layers from the mole until it is completely eliminated. 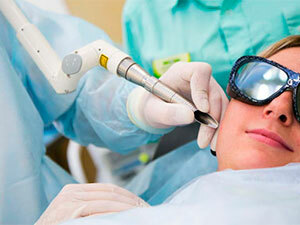 This treatment is chosen by many people who prefer non-invasive procedures. Click here for more information about surgery to remove moles. Red moles, like other moles, should be monitored, and any moles that go through visible changes might be an indication of other serious health problems. See a doctor if more than two red moles appear simultaneously. Multiple cherry angiomas, appearing at the same time, may indicate liver distress, or hormonal imbalances. Where moles are concerned, physicians have developed the ABCDE guide to help individuals determine moles that need to be professionally examined. Asymmetrical shape where the two halves of the mole do not match. Borders of mole are scalloped, notched, or irregular. Color changes, is uneven, or mole contains a variety of colors. Diameter of mole grows to larger than ¼ inch. Evolving characteristics that change, including the size, color, or shape of the mole. 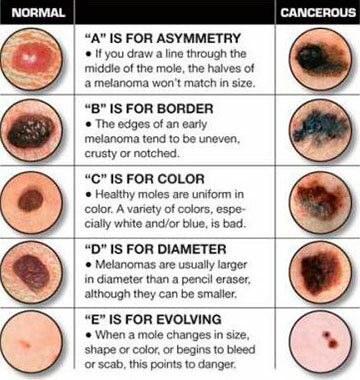 Cancerous moles vary in appearance, and some may show only a couple of the features listed in the guide, while others may exhibit all of the characteristics. Consult with a physician if you have a red mole, or any other mole, that exhibit any of the above characteristics. The causes of cherry angiomas are not identified, but the development of red moles on the skin has been linked to several factors that can be impacted by some simple lifestyle changes. Diets rich in vitamin A and Vitamin E are particularly helpful for healthy skin. Junk foods should be avoided, and nutrition plans should include daily requirements of fruits and vegetables. Make sure you keep your body hydrated, which also flushes out toxins from the body. Take measures to alleviate the stress in your life. This could include exercise, meditation, or medication. Stress impacts every cell in the body, and skin eruptions are just one of the complications that can occur with continuing anxiety. Red mole formations have been linked to excessive sun exposure. Use sunscreen, and cover up when possible. Wear hats that have brims wide enough to protect your neck, scalp, eyes, and ears. Red moles or cherry angiomas, are very common skin growths that are typically benign, and painless. Getting older increases the likelihood of red mole development, and as the aging process continues, the moles tend to increase in numbers and size. The appearance of a red mole is nothing unusual, and in the vast majority of cases, nothing to worry about. You can find further details of Red mole here.